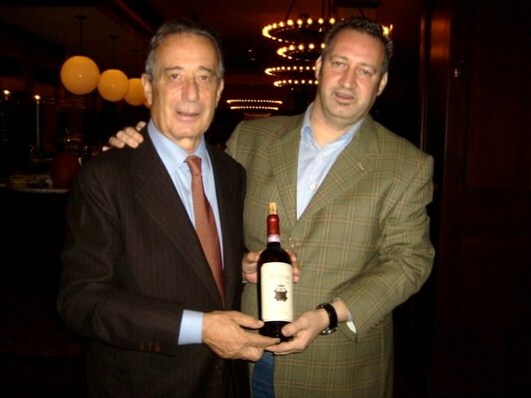 NEW YORK ITALIAN FOOD ..... and WINE GUY: TIME To TASTE WINE "Italian Wine" Brunello Chianti And ? TIME To TASTE WINE "Italian Wine" Brunello Chianti And ? Time to taste Wine? Italian Wine in particular. It's always time to taste wine. Well there are times in the year when you drink and taste wine (Italian Wine) more than others. Times that is. If you happen to be in the wine or restaurant business, you know these times. September is big, with most large importers and distributors of wining having there Grand Portfolio Tastings in this month, the month of September, Summer is over, it's not only back to School it's back to business fro many, and for the people in the wine or restaurant businesses, September to the end of December is the busiest time of the year. In this month I will go to the large Portfolio Tasting of Martin Scott Wines, Winebow, Vias, and others. October and November will find a couple big Tastings of The Italian Trade Commission. As far as wine tastings go, things slow down for the month of December (all Business) and January. January, well that's all till the last day of January this year, as one of mine and other Italian Wine Lovers favorite tasting of the year will be, "The Brunello Tasting" and of one of my own personal favorites along with Chianti, is Brunello. They are both Sangiovese based wines. Brunello produced only in the famed wine town of Montalcino, "The Home of Brunello," the only place of Brunello for those who might not know. The also make Rosso di Montalcino in Montalcino. Both wines are made from 100% Sangiovese Grosso, also known as "Brunello," that's the name of the grape. They also produce one of the World's great dessert wines in Montalcino, of which is Moscadello. And of fourth not as far as Montalcino wine production is concerned, some properties make proprietary wines that you will know as Super Tuscans, which are made throughout all of Tuscany. So The Brunello Tasting. Along with the Tri Bicchierri Tasting of the Best Wines from the whole of Italy. Anyway the BrunelloTasting. I just love it. And it will be back to just tasting the latest vintages of Brunello the 2008 Brunello's and the 2007 Brunello Riservas. Wow! There will be Brunello to taste of course, along with Rosso di Montalcino from each producer as well, and maybe a Moscadello and or some sort of Super Tuscan. Not every Brunello producer makes the later two wines. Now, how bout my favorites. Well, on the top of the list is the are the Brunello's from my friends the Colombini family, the normale and the Riserva of Fattporia Barbi are always amazing. 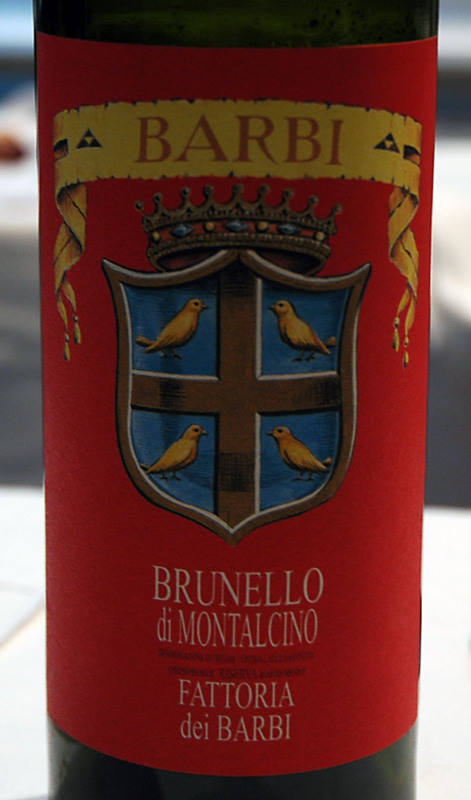 The wines are always in perfect balance and true to what real Brunello should be. Other favorite Brunello's would be the Castel Giacondo Brunello from my good friends the Frescobaldi's who make superb Brunello as well as fine Chianti Rufina and some Italy's top Super Tuscan Wines. One big not on the Brunello Tasting of New York is that it started out as just that Brunello. For the past three years or so, The Brunello Tasting include Prosecco, Chianti, and Vino Nobile as well. This year The Brunello Tasting is back to just Brunello and other wines produced on Brunello properties. I'm glad for that. I love those other wine, especially Chianti, but myself and many others prefer the pure Brunello Tasting. And I love when they have a pure Chianti Tasting as well, which they don't do every year, but when they do, it's one of my faves. So yes, a big time for Italian Wines and their tastings. On February 15th 2013, the biggest and most important Italian Wine Tasting of the year will take place, it is The Tri Bicchierri Tasting of Italy's Top Wines from around the country, as rated by Gambero Rosso "The Wine Spectator" of Italy. Many great wines, but my favorite aspect of the Tasting is seeing and socializing with my many Italian Wine Friends, the Proprietors and Winemakers of Italy's greatest wines. People like the affable and talented winemaker for the famed Sassicaia Mr. Sebastiano Rosa, as well as his cousin Piero Incisa Rochetta of Tenuto San Guido, the estate where the grapes for Sassicaia are grown and Sassicaia is made into Italy's Most Renowned and Prestigious Wine. Well there are many, including Marchese Ferdinando Frescobaldi, Emanuella Stucchi of Badia Coltibuono, the beautiful Sicilian lady Francesca Planeta of Planeta, Giovvani Folnari of Nozzole, Gianpauolo Venica who makes along with his father and uncle some Italys finest white wines at Venica. And yes, many more wonderful Italian Wine people, too many to name. Yes it's great fun at the Tri Bicchierri Tasting to see my Italian friend and taste there great wines. And so ladies and gentlemen, the Hieght of The Italian Wine tasting Season is upon us with The Brunello tasting on January 31 followed by The Tri Bicchierri Tasting February 15th, the day after Valentines Day, and Love will be in the Air. The Love of Love and Italian Wine, "Mangia Beve Amore"